Christian Faye can create sensational eyebrows – like magic! 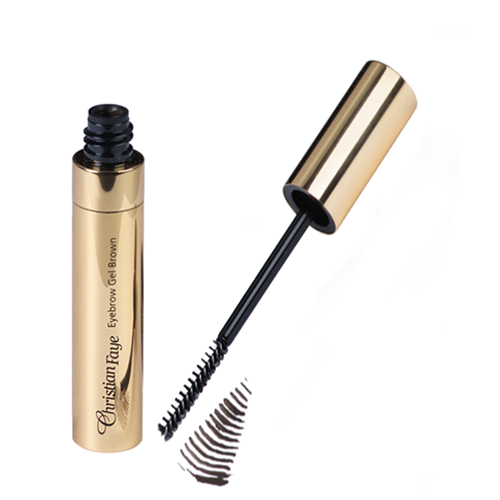 Christian Faye innovative eyebrow gel defines your brows with flexible formulation, without rigid effect. The eyebrow gel brings the brows in perfect shape and fixed it just the way you want it. Eyebrow gels by Christian Faye are clear or tinted. Clear gel is perfect for those born with naturally lush brows, that just need a bit of taming. Tinted ones are great if you’re also looking to define and enhance light eyebrows. Clear eyebrow gel can be used also over your regular eyebrow powder, just to give final glamour effect and fix your eyebrows in a perfect shape all day long.